Safety equals success when it comes to foraging for food, and sure identification is an absolute must when gathering anything from the wild for you or your family’s consumption. If you are in any doubt at all about what exactly it is you have collected, then you must discard it immediately. The False Panther Cap: another member of the genus Amanita, which contains The Death Cap. If you are careful then mushroom hunting is a safe pursuit, and there is no reason why you shouldn’t live a long and healthy life. If you are not you will in all likelihood eventually end up eating something you shouldn’t have, or even worse feed it to someone you love, and the consequences of mushroom poisoning can indeed, even with modern medicines, be fatal. I refer you to mushroom-appreciation.com to the effects of eating The Death Cap. 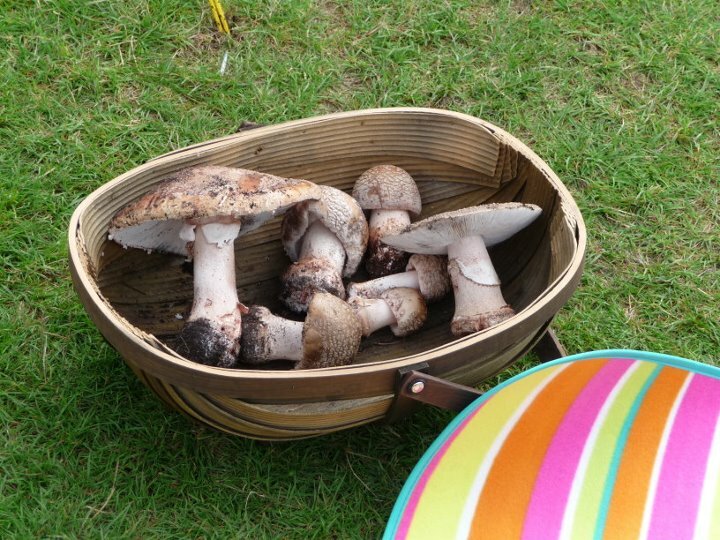 A basketful of Blushers: edible (when cooked) and delicious, but in the same family as The Death Cap and with striking similarities. The Sickener - the name says it all. Found when out foraging on the Isle of Arran. Before you venture out and start picking, I urge you to go out and buy at least two books or field guides on identifying mushrooms. This is sound advice I’ve garnered from John Wright’s excellent River Cottage Handbook Mushrooms(2007). Wright, with a lifetime’s experience of gathering, eating and studying all types of fungus, still uses, and I quote, ‘dozens’ of books to help him identify what he is picking. The very fact that he has never been poisoned is simple testimony to the fact that this is a safe pursuit so long as you are always very, very careful. His number one rule is simple: ‘Never eat a fungus if you do not know its name.’ Follow it and you cannot go wrong. Another great book for beginners is The Mushroom Guide and Identifier by Peter Jordan. It is a wonderful A4 sized publication with clear, sharp and huge pictures to help with identification. There are many more, and I will be compiling a list for this blog. 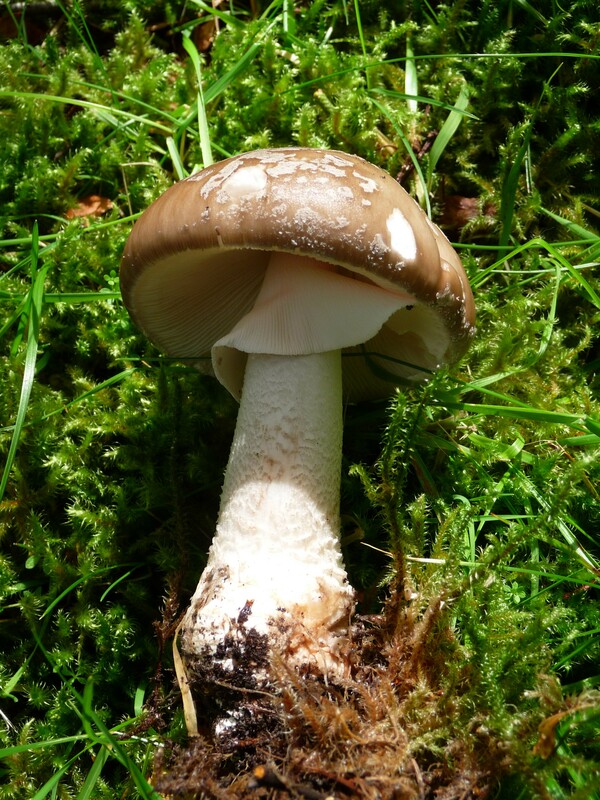 This entry was posted in Foraging Safely, Poisonous Species and tagged amanita, amanita phalloides, poisonous mushrooms, the blusher, the death cap, the false panther cap, the panther cap, wild food, wild mushrooms. Bookmark the permalink. Ok well back in the fall i was back in my friends woods scouting for good places to drop deer feed anyway he never told me until i walked through them but i walked through a few patches of red poisonous mushrooms, anyway i took off those boots and they have been laying around the house and my hat feel on the boots and i didn’t look completely because i was in a rush and i put the hat on and i am not wondering how long to mushroom spores stay alive off the mushroom? Would it still be harmful even now several months since i walked through them? Should i be worried about getting sick or going to the hospital? Sorry i don’t know much about mushrooms, and i know that there are some really experienced outdoors men and women on here who might know the answer to my question. Us morel mushroom enthusiasts are anxiously awaiting for the season. I?ll be back to check in with your webpage again. Awesome Article on mushrooms. Sorry it’s taken so long for me to reply – for some reason your message ended up in my spam folder. You really needn’t worry about the spores (as I’m sure by now you’ve realised already). I think that if you injested enough fresh spores then they probably would be harmful, but it’s ok to come into contact with them. You can even handle the Death Cap without ay ill effect – just don’t eat any of it!! 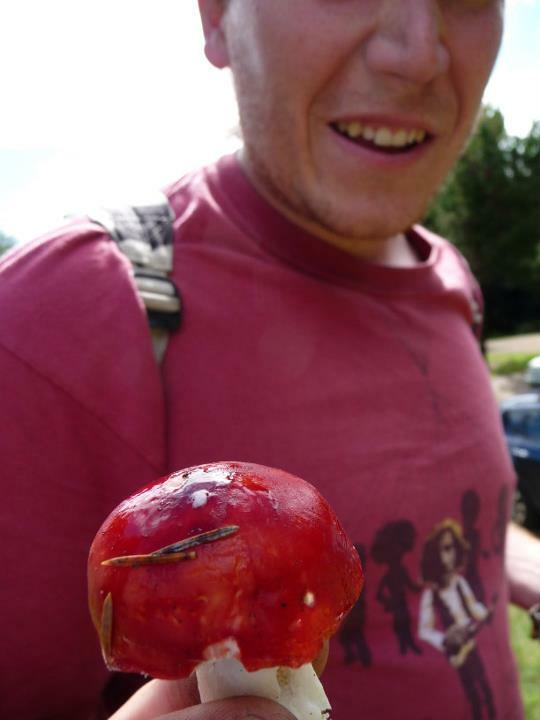 Obviously I can’t tell without seeing the mushrooms, but most poisonous red mushrooms, such as the Sickener or Fly Agaric, are not terribly harmful anyway – i.e. they might make you ill for a day or two, but won’t see you in a box. I can’t wait for the Morel season myself! Please keep in touch. Field guides tend not to be well laid-out for identification, and I’ve only ever seen one with a systematic approach to ‘Often confused with’. That’s becoming an increasing problem with foreign species turning up from imported mulch and bark chippings.